The CPI-M is not the biggest enemy of the Congress here, but the Congress party only is the main enemy as can be seen in what happened here in recent times, he said. 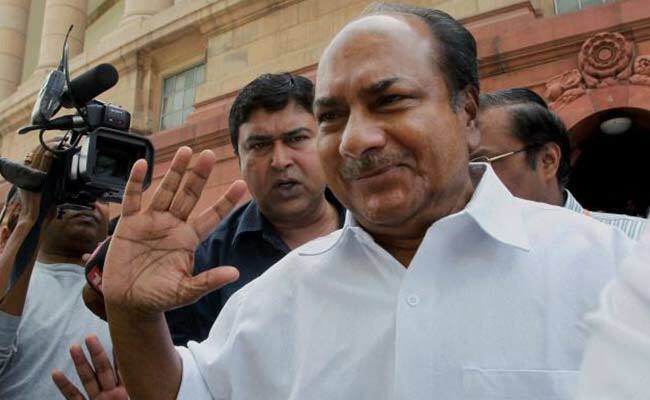 Congress Working Committee member AK Antony on Thursday asked his fellow party leaders in Kerala to be disciplined and united otherwise the future would be very bleak for the party. In his address at the centenary birthday celebrations of former Chief Minister K Karunakaran -- his former party rival as for close to three decades from the 1970s, the Congress state unit was strongly divided between their factions with the former on top most of the time -- Mr Antony said the Congress is presently undergoing bad times, much worse than what Karunakaran faced when he led the party in the late 1960s. "The CPI-M is not the biggest enemy of the Congress here, but the Congress party only is the main enemy as can be seen in what happened here in recent times. There should be a reining-in of leaders in the party as washing dirty linen in public has become the order of the day. "It should stop and whatever has to be said should be said in the party forum. Everything should be discussed in the party first," he said at the function at the party headquarters. Several senior leaders including former state unit President VM Sudheeran had openly criticised the manner in which former Chief Minister Oommen Chandy, Leader of Opposition Ramesh Chennithala and state party chief MM Hassan gifted a Rajya Sabha seat to a former ally - KM Mani's party - so as to enable his party's return to the Congress-led United Democratic Front fold after two years. These three leaders had come under severe attack from a section of Congress leaders, with many of these voicing their opinions on live TV debates. All this came soon after the massive drubbing that the Congress candidate suffered at the hands of the CPI-M candidate at the May 28 assembly by-election. "There should be utmost restraint by all those who dabble in social media. What's happening now is not acceptable as several leaders are grossly immersed in it. The party cannot be strengthened by being active in the social media. It can happen when the party leaders reach out to the grassroots and it has to happen very fast," Mr Antony said.